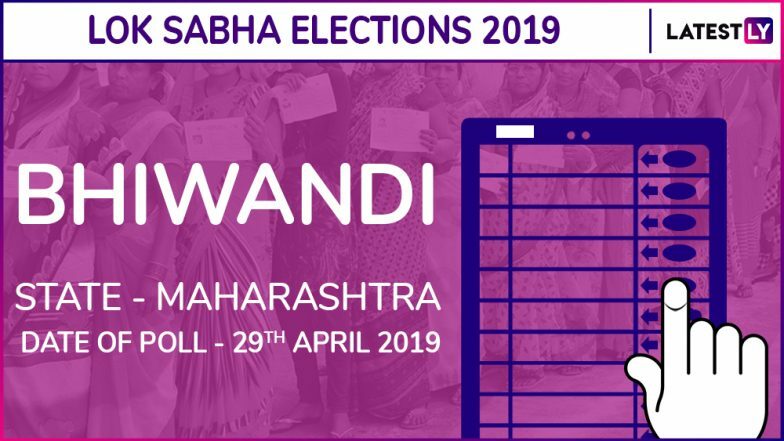 Mumbai, March 23: Bhiwandi Lok Sabha seat in Maharashtra will go to polls in the fourth phase of general elections on April 29. The counting of votes will take place on May 23 and results will be declared on the same day. In Bhiwandi Lok Sabha constituency, which is one of the 48 constituencies in Maharashtra, the electoral contest is between the Bharatiya Janata Party (BJP) and the Congress. While the BJP has made an alliance with the Shiv Sena, the Congress will contest in an alliance with the Nationalist Congress Party (NCP). Check Full Schedule of Lok Sabha Elections 2019. The incumbent MP of Bhiwandi Lok Sabha seat is Kapil Moreshwar Patil of the BJP. The saffron party reposed faith Patil and has renominated him from the parliamentary seat. The Congress has pitted Suresh Kashinath Taware against Patil. The process of filing nomination for Bhiwandi Lok Sabha election will begin from April 2. The last day for nominations would be April 9. Scrutiny will be done on April 10 and the last date for the withdrawal of the nominations will be April 12. Lok Sabha Elections 2019 Schedule: How Staggered Polling Could Help BJP. In 2014 Lok Sabha elections, the BJP, Shiv Sena and Swabhiman Paksha contested in an allaince and bagged 23, 18 and one seat respectively. The Congress has won only two seats and NCP just four. Lok Sabha elections will begin on April 11 and will be held over seven phases across the country followed by counting of votes on May 23. Prime Minister Narendra Modi led the BJP is contesting to retain power for the second consecutive time.